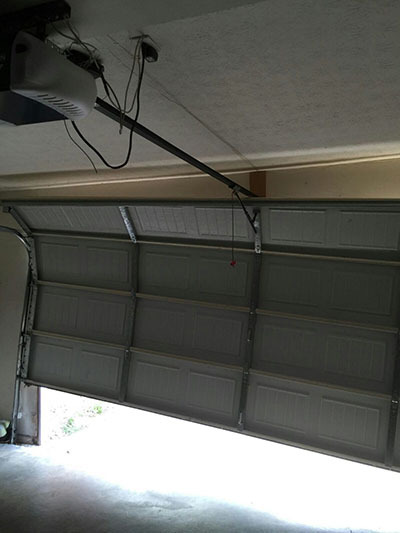 If you are looking for someone who can provide you with professional assistance with garage door spring replacements, or you need to have new springs installed to your door, our technicians are here to assist you. We work with various types for all doors, meaning we are always able to provide you with the springs that you need, and know how to ensure that they are fitted properly, and safely. Due to the stress and tension they must deal with,as well as the unavoidable effects of old age, your springs may take damage or become ineffective from time to time, especially if they have not been adequately maintained by a professional on a regular basis. But a damaged spring need not always be replaced. If your springs require a few minor repairs, speak to one of our technicians for information or advice on having your coil or extension springs repaired by a qualified technician. Since springs are bound to take damage over time, it is essential to keep them properly maintained so that they can enjoy a longer life-span. When it comes to maintenance, your springs should never be overlooked since they do a lot to ensure that your door can be used safely. So, if you would like to avoid the untimely replacement of broken garage door springs, be sure to have one of our technicians inspect and maintain them for you on a regular basis, to ensure that they are in peak condition and always performing admirably. When it comes to such an important part of your door, never settle! Contact our professional team today to have your springs taken care of.